“The Keys to Montana” Has Arrived and It’s FREE! I’m sooooooo excited! 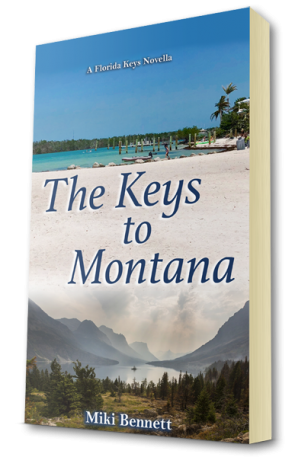 My newest book – my novella “The Keys to Montana” is now available and guess what? For a limited time IT’S FREE! I’ve wanted to write a few novellas for quite some time about many of the minor characters in the “Florida Keys Novels” and “Camping in High Heels”. Seth and Ella are two people that were in “Forever in the Keys” and for some reason their story just came to life first. Now that I’ve written this book, I can see stories for so many of my characters that I almost don’t know where to start! LOL! But I wanted to give this to you for free because I feel like I have the best readers in the world! I truly mean that! You are my VIP Readers. Your love and support of my novels and me has been incredible – I feel truly blessed. So the best way I can say thank you at the moment is to give you this novella about a girl from Key West and a boy from Montana. All you have to do is follow the link below, confirm your email and you’ll receive the download information for your free eBook. It’s that simple! And the next best thing is that you’ll be on my VIP reader list and I have some really cool things coming: more events – in person and online, giveaways, prizes and more fun! I can’t wait to share it all with you. So I hope you enjoy Seth and Ella’s story as much as I do. Once again – THANK YOU! Okay – here is the link for the book or you can click the sidebar image! PS: If you would like to read the original book where we meet Seth and Ella again, here the link to “Forever in the Keys” – click here.